Classic Wines is proud to announce our new Wine Club. Enthusiast Level $25.00/Month This level is for those looking for great values. Good everyday wines at a great price. 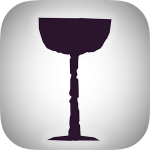 Collectors Level $75/Month This level is for the serious wine lovers and collectors. Members will get first consideration for allocated and limited releases as well as small production, boutique wines. GET 20% OFF FIRST YOUR PURCHASE!! Click the Icon to Download Our Free App! Just click the Icon to download our free App! Food Trucks on Wednesday & Thursday Nights!